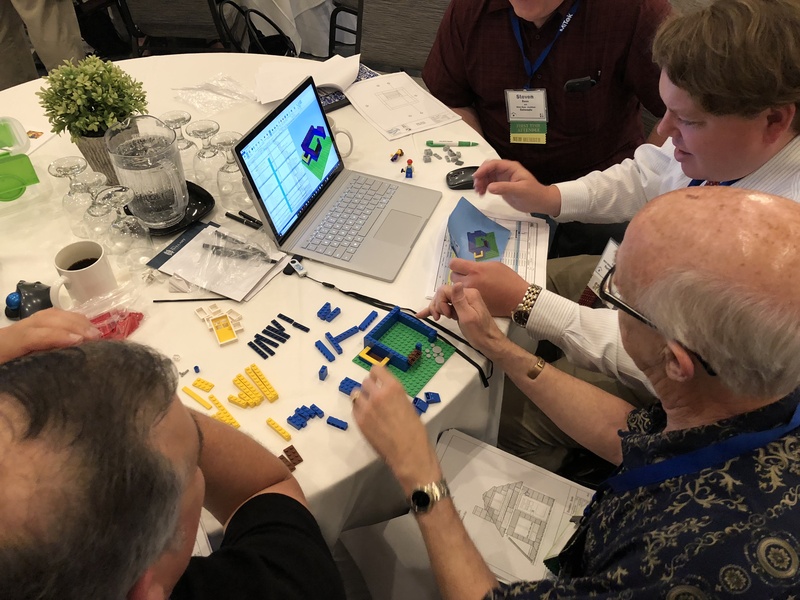 The long-established love affair between architects and Legos spawned a unique education program – called the “BIM Lego Experience”. 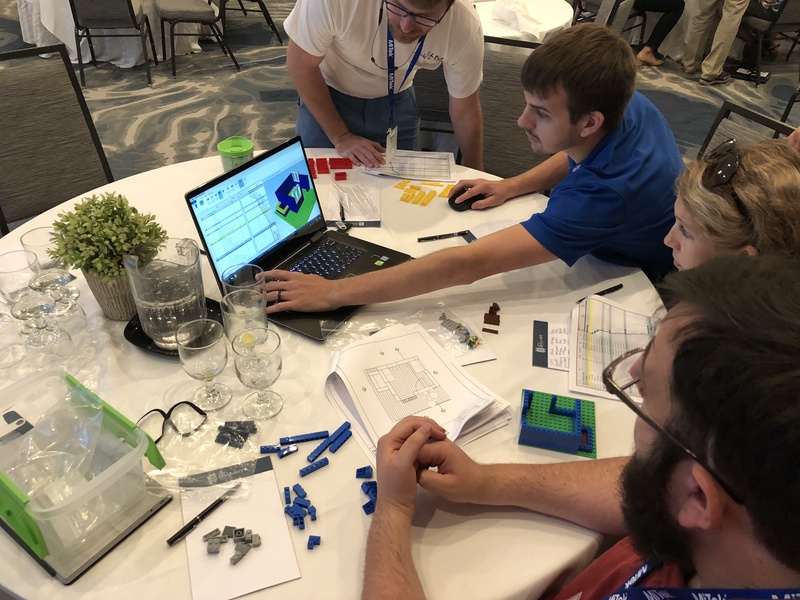 Created as part of the BIM Education program offered by the AGC by Benjamin Crosby of Yates Construction, this exercise made its debut at the American Institute of Building Design (AIBD) Southeast Design & Build Conference earlier this month. With the goal of showing how ARCHICAD works in an OPEN BIM process and how IFC files can be used, 2D printed plans, elevations, section were created from an ARCHICAD model as well as a BIMx file. Users were able to see how the BIMx file helped to tie the BIM together with the 2D documentation. 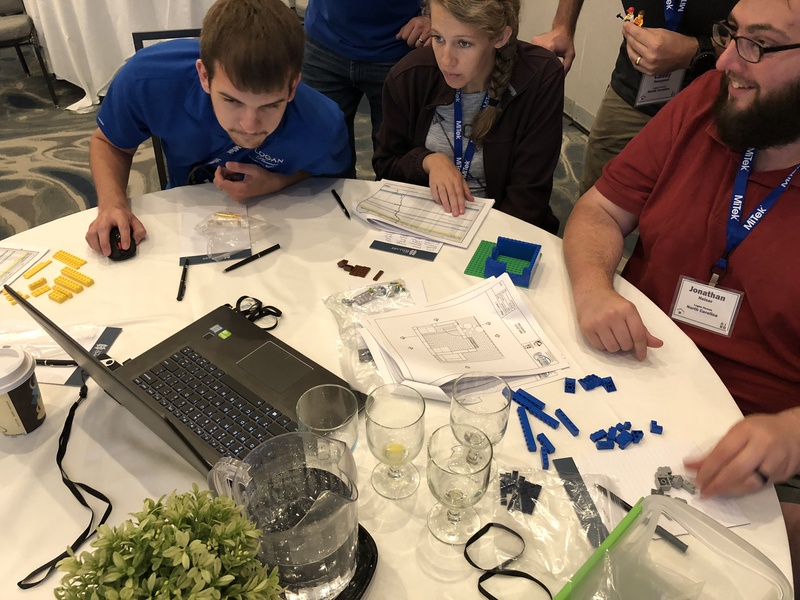 Participants were given instructions, intended to represent traditional design and build workflow processes – with Legos as their materials and 2D documents as instructions. After a short period of working that way, the builders received BIM files – in IFC format using individual “color” files. Having to rely on only 2D paper-based documentation led to discovery of how BIM files can reduce errors. The hands-on experience clearly illustrated the benefits of active BIM process with emphasis on the “I” of the BIM; coordinated documentation, 3D coordination, quantities and estimating, lean construction. It is a fun and engaging way to highlight the benefits of BIM and coordinated design and construction. GRAPHISOFT is proud to support the American Institute of Building Design (AIBD) in its aim to boost the skills of the design community; as well as contributing to the Institute’s College of Fellows Scholarship Fund. Our partnership with the AIBD adds some exciting perks when you purchase an ARCHICAD bundle. You can choose between a full or SOLO version of ARCHICAD in a subscription or perpetual license format. Get free training, extend your AIBD membership and support the Institute’s Scholarship Fund. This offer is good only through July 31st, so act now! Bradley Madison will be presenting this education program at the AIBD Design & Build – Mid Atlantic conference.